Home Article Actress Leslie Stefanson is in a Relationship with James Spader; Couple shares a Son together; Details of their Affair and Family here!!!! Actress Leslie Stefanson is in a Relationship with James Spader; Couple shares a Son together; Details of their Affair and Family here!!!! Most of you people know Leslie Stefanson as an actress, however, there's more to her identity. She's also an accomplished model and artist making bronze and terracotta sculptures. She is currently in a relationship with actor James Spader. The couple is dating since 2003 and has a son together. Is the pair thinking of getting married? How is their relationship going on? Let us find out!!!! Leslie Stefanson, 46, The Hunted actress is currently in a relationship with American actor James Spader. He is most popular for his portrayal in Avengers Age of Ultron (2015) with Mark Ruffalo, Chris Hemsworth, and Chris Evans. According to the sources, the love between the couple started to blossom in 2003 when they costarred in the movie named Alien Hunter. Their son, Nathaneal Spader was born on 31 August 2008. Leslie and James are pretty private about their relationship and does not make much of a public appearance together. Recommended: Megan Boone dating Boyfriend for a long time; The pair shares one child between them; Is the pair getting Married? The family of three was spotted together in New York in August 2015. The star looked happy when he followed his redhead girlfriend who wore a neat floral top and tight shorts. Similarly, the 9-year-old Nathaneal was on a scooter along with their dog. James seems to be a good boyfriend but more than that a loving and caring father. He admitted that his role as Mr. Black in 2009 movie Shorts was dedicated to his son. "Not really. I did it just for fun. I hate to be selfish but I have never taken any of the films I've done for the sake of someone else. I realize I've said yes in my career most often to things that took me completely by surprise." "If something comes to me and is completely different from anything I could have imagined, nine times out of 10 I will do it. And that doesn't mean I would necessarily have been interested in seeing those films if I hadn't been in them." The movie directed by Robert Rodriguez is basically a children's film. As of now, the duo is enjoying their relationship and is not thinking of getting married yet. It looks like we have to wait a little longer to hear the wedding bells. Leslie; most popular for her role as Capt. Elisabeth Campbell in the movie The General Hospital was rumored to be in a relationship with actor Ryan O'Neal in 1997. As both, the pair never accepted their relationship in public the news simply faded along with time. On the other hand, James was married to Victoria Kheel, a decorator by profession. They fell for each other during the 1980s when Victoria was working in a yoga studio. 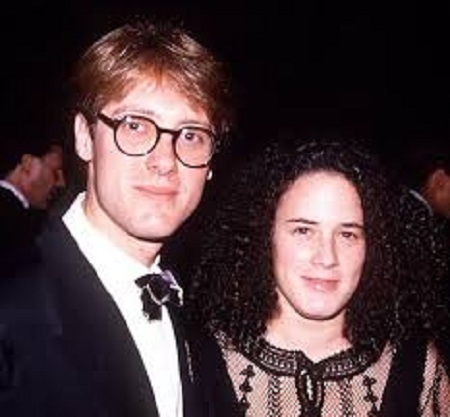 The former couple has two children Sebastian Spader (born 1989) and Elijah Spader (born 1992). However, James and Victoria separated with an official divorce in 2004. She was born on 10 May 1971 in Fargo, North Dakota and later raised in Moorhead, Minnesota. Stands at the height of 5.97 feet (1.82m). Completed her graduation with a degree in English Literature from Barnard College. Started her acting career in 1994 from the movie The Cowboy Way where she portrayed a minor role and retired from the acting world in 2003. Best known for playing the role of Capt. Elizabeth Campbell in the movie The General's Daughter alongside John Travolta and Timothy Hutton. She's currently involved in making bronze and terracotta sculptures in Los Angeles and New York City. Also known for her portrayal in movies including The Cowboy Way, The Mirror Has Two Faces, Flubber, Break Up, and Unbreakable. She stands a tall height of 5'11. Her partner James Spader has an estimated net worth of about $10 million.